According the Oxford English dictionary, the shop-house “...in South East Asia, is a shop opening onto the pavement and also used as the residence of the proprietor”; it was noted in the 1979 edition that publications in Britain have used the term since the 1950’s (Oxford English diictionary, 1979). The word ‘shop-house’ may have first appeared as early as 1884. 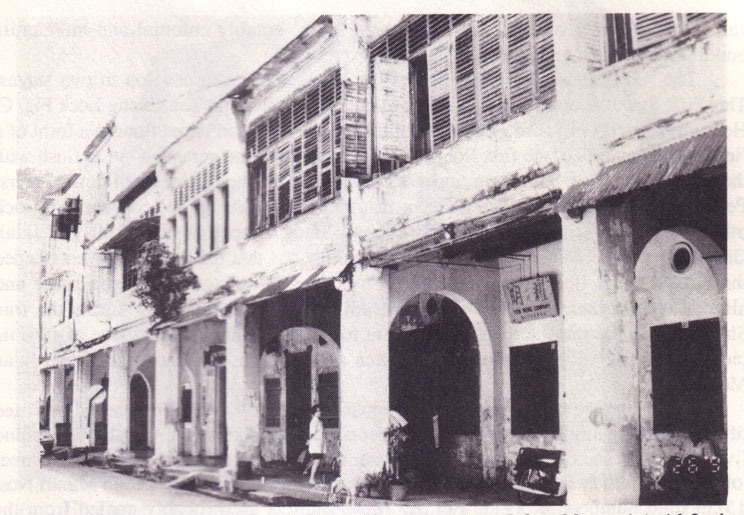 In the Penang Administration Report of that year, in Proceedings of the Straits Settlement, reads: “In the Market Square is a small drinking fountain, together with a few shop-houses, and a spacious bathing house”. 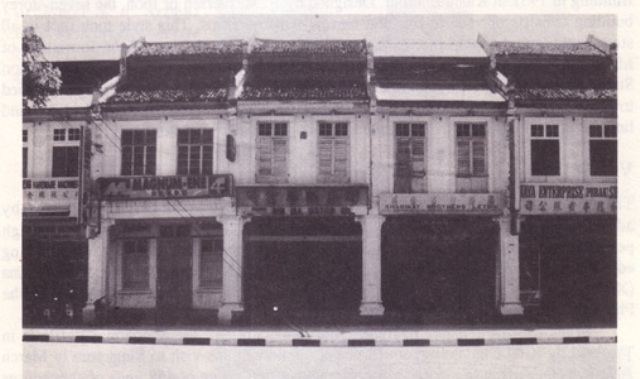 Even earlier in 1793, Francis Light used the term “shop and house...as belonging to Chee Ean Chinaman” in Penang. Shop-house is probably based on a literal translation of Chinese colloquial terms. The Chinese characters for shop house are “店屋” - in Hokkien dialect, tiam chu, in Cantonese, tim ok and in Mandarin dian wu. 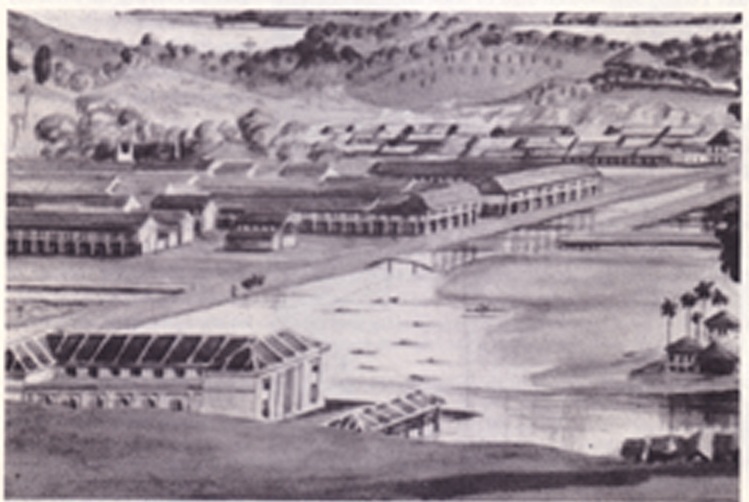 Municipal regulations were strengthened with the India Act of 1856, and the subsequent Amended Indian Conservancy Act of 1879, enacted for India and its ‘stations’ in the Straits of Malacca. Submission of proper building plans and specifications became mandatory. 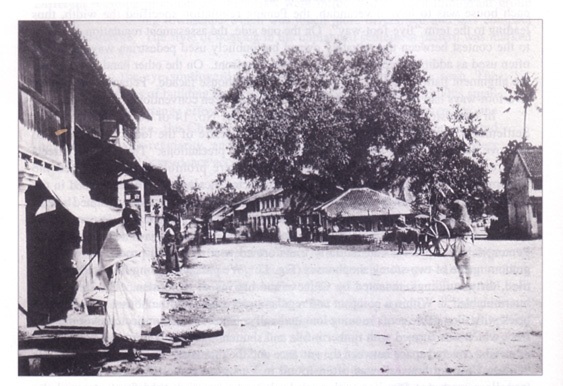 The provision of footways in front of the buildings was specified in accordance with typical practice in India - even though the provision of a verandah was not mentioned, neither was it precluded. The Acts also conferred public right–of-way to footways and empowered Municipal Commissioners to remove any obstruction and encroachment. Every person who shall erect a building which abut on any street or road shall provide a verandah-way or an uncovered footway of the width of at least seven feet measuring from the boundary of the road or from the drain....and the footway within any verandah-way must be at least five feet in the clear. 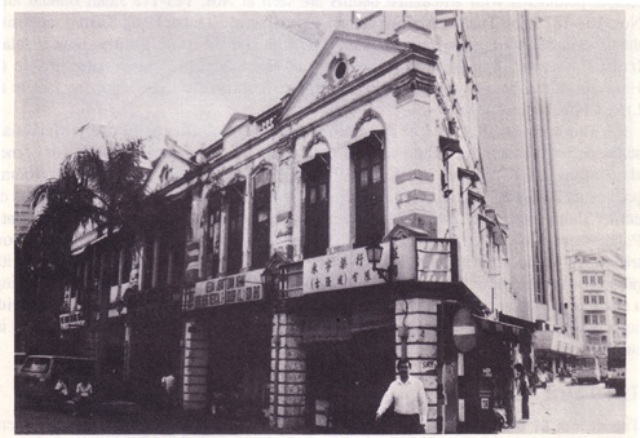 The Chinese owners and builders undoubtedly brought with them the knowledge and experience from where they came; they had given the shop-house its initial form, and later continued to influence its evolving shape. 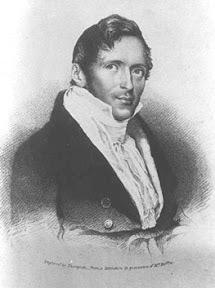 However, it was the Municipal Regulations under the British Administration that had the decisive influence in making the building-type dominant. The by-laws made it mandatory for town buildings which abut each other to adhere to a prescribed regular form. 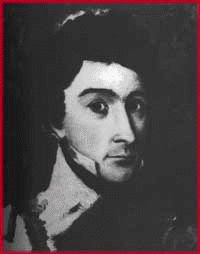 The laws coerced proprietors to build the five-footways which were in effect a public right of way on private property. 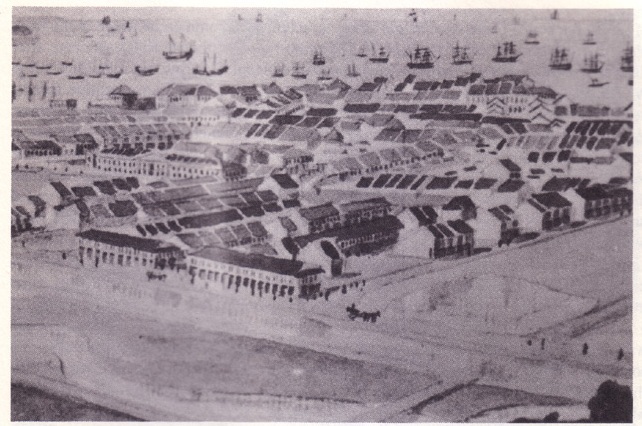 Even though this was not an easy thing to do, there was sufficient benefit to the public: the colonial authorities felt sufficiently justified to ensure the five-footways were not only built, but were kept unobstructed. 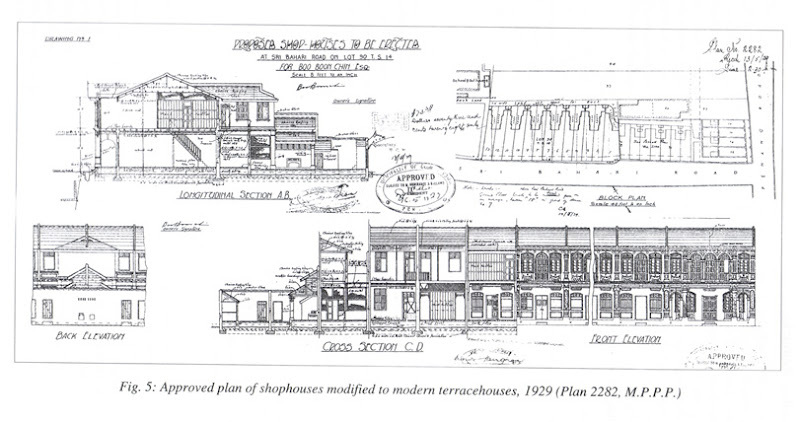 Regulations transformed the prototype into archetype, and the shop-house became a prominent and ubiquitous characteristic of the urban landscape. 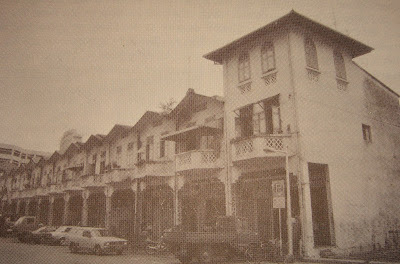 By the Second World War, almost every town in Malaysia and Singapore already had one or more streets lined with the characteristic shop-houses. 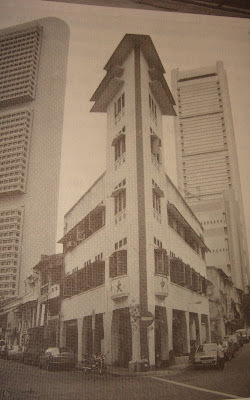 The implementation of municipal regulations that spanned Malaysia and Singapore had resulted in a fairly uniform urban streetscape unique to the region. The old shop-house buildings and streets that are still standing today are an important heritage, and give our towns a sense of place and history: they each tell a story that link to our past. References: Jon S.H.Lim, "The Shophouse Rafflesia: An Outline of its Malaysian Pedigree and its Subsequent Diffusion in Asia", Journal of the Royal Asiatic Society, Volume LXVI Part 1, 1993, pp 47-66. 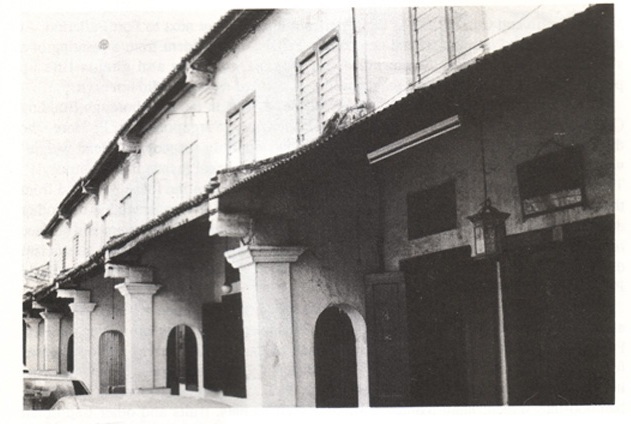 Mai-Lin Tjoa-Bonatz, "Ordering of housing and the Urbanization Process: Shophouses in Colonial Penang", Journal of the Royal Asiatic Society, Volume LXXI Part 2, 1998, pp 122-136.
very useful post. I would love to follow you on twitter. By the way, did you guys hear that some chinese hacker had busted twitter yesterday again. very useful article. I would love to follow you on twitter. By the way, did anyone know that some chinese hacker had hacked twitter yesterday again.